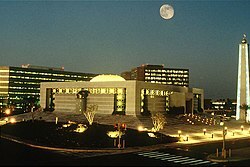 Saudi Aramco (Arabic: أرامكو السعودية‎ ʾArāmkō al-Saʿūdiyyah), officially the Saudi Arabian Oil Company, (formerly Arabian-American Oil Company), is a Saudi Arabian national petroleum and natural gas company based in Dhahran, Saudi Arabia. It is one of the largest companies in the world by revenue, and according to accounts seen by Bloomberg News, the most profitable company in the world. Saudi Aramco has both the world's second-largest proven crude oil reserves, at more than 270 billion barrels (4.3×1010 m3), and second-largest daily oil production. Saudi officials have backed an official figure of $2 trillion for Saudi Aramco's value. The company's financial data were leaked in April 2018, and according to Bloomberg's analysts the company could be valued at $1.2 trillion, a significantly lower sum. Saudi Aramco operates the world's largest single hydrocarbon network, the Master Gas System. Its 2013 crude oil production total was 3.4 billion barrels (540,000,000 m3), and it manages over one hundred oil and gas fields in Saudi Arabia, including 288.4 trillion standard cubic feet (scf) of natural gas reserves. Saudi Aramco operates the Ghawar Field, the world's largest onshore oil field, and the Safaniya Field, the world's largest offshore oil field. On 09 April 2019, Aramco has raised $12 billion of bonds. Its first international bond issue has received more than $100 billion in orders from foreign investors which breaks all records for a bond issue by an emerging market entity. Saudi Aramco's origins trace to the oil shortages of World War I and the exclusion of American companies from Mesopotamia by the United Kingdom and France under the San Remo Petroleum Agreement of 1920. The US administration at the time had popular support for an "Open Door policy", which Herbert Hoover, secretary of commerce, initiated in 1921. Standard Oil of California (SoCal) was among those US companies seeking new sources of oil from abroad. Through its subsidiary company, the Bahrain Petroleum Co. (BAPCO), SoCal struck oil in Bahrain in May 1932. This event heightened interest in the oil prospects of the Arabian mainland. On 29 May 1933, the Saudi Arabian government granted a concession to SoCal in preference to a rival bid from the Iraq Petroleum Co. The concession allowed SoCal to explore for oil in Saudi Arabia. SoCal assigned this concession to a wholly owned subsidiary, California-Arabian Standard Oil (CASOC). In 1936, with the company having had no success at locating oil, the Texas Oil Co. (Texaco) purchased a 50% stake of the concession. After four years of fruitless exploration, the first success came with the seventh drill site in Dhahran in 1938, a well referred to as Dammam No. 7. This well immediately produced over 1,500 barrels per day (240 m3/d), giving the company confidence to continue. On 31 January 1944 the company name was changed from California-Arabian Standard Oil Co. to Arabian American Oil Co. (or Aramco). In 1948, Standard Oil of New Jersey (later known as Exxon) purchased 30% and Socony Vacuum (later Mobil) purchased 10% of the company, with SoCal and Texaco retaining 30% each. The newcomers were also shareholders in the Iraq Petroleum Co. and had to get the restrictions of the Red Line Agreement lifted in order to be free to enter into this arrangement. In 1949, ARAMCO had made incursions into the Emirate of Abu Dhabi (now part of the UAE), leading to a border dispute between Abu Dhabi and Saudi Arabia. In 1950, King Abdulaziz threatened to nationalize his country's oil facilities, thus pressuring Aramco to agree to share profits 50/50. In 1973, following US support for Israel during the Yom Kippur War, the Saudi Arabian government acquired a 25% "participation interest" in Aramco's assets. It increased its participation interest to 60% in 1974 and acquired the remaining 40% interest in 1976. Aramco continued to operate and manage the former Aramco assets, including its concessionary interest in certain Saudi Arab oil fields, on behalf of the Saudi Arab Government until 1988. In November 1988, a royal decree created a new Saudi Arab company, the Saudi Arabian Oil Company, to take control of the former Aramco assets (or Saudi Aramco) and took the management and operations control of Saudi Arabia's oil and gas fields from Aramco and its partners. In 1989–90, high-quality oil and gas were discovered in three areas south of Riyadh: the Raghib area about 77 miles southeast of the capital. 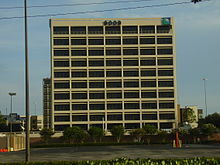 In 2005, Saudi Aramco was the world's largest company with an estimated market value of $781 billion. In 2011, Saudi Aramco started production from the Karan Gas Field, with an output of more than 400 million scf per day. In January 2016, the Deputy Crown Prince of Saudi Arabia, Mohammad bin Salman Al Saud, announced he was considering listing shares of the state-owned company, and selling around 5% of them in order to build a large sovereign fund. Wall Street Journal reported in September 2018, Aramco was considering a $1 billion venture-capital fund to invest in international technology firms. Aramco computers were attacked by a virus on 15 August 2012. The following day Aramco announced that none of the infected computers were part of the network directly tied to oil production, and that the company would soon resume full operations. Hackers claimed responsibility for the spread of the computer virus. The virus hit companies within the oil and energy sectors. A group named "Cutting Sword of Justice" claimed responsibility for an attack on 30,000 Saudi Aramco workstations, causing the company to spend a week restoring their services. The group later indicated that the Shamoon virus had been used in the attack. Due to this attack, the main site of Aramco went down and a message came to the home page apologizing to customers. Computer security specialists said that "The attack, known as Shamoon, is said to have hit 'at least one organization' in the sector. Shamoon is capable of wiping files and rendering several computers on a network unusable." Richard Clarke suggests the attack was part of Iran's retaliation for the U.S. involvement in Stuxnet. A significant portion of the Saudi Aramco workforce consists of geophysicists and geologists. Saudi Aramco has been exploring for oil and gas reservoirs since 1982. Most of this process takes place at the EXPEC Advanced Research Center. Originally, Saudi Aramco used Cray Supercomputers (CRAY-1M) in its EXPEC Computer Center (ECC) to assist in processing the colossal quantity of data obtained during exploration and in 2001, ECC decided to use Linux clusters as a replacement for the decommissioned Cray systems. ECC installed a new supercomputing system in late 2009 with a disk storage capacity of 1,050 terabytes (i.e, exceeding one petabyte), the largest storage installation in Saudi Aramco's history to support its exploration in the frontier areas and the Red Sea. While the company did not originally plan on refining oil, the Saudi government wished to have only one company dealing with oil production. Therefore, on 1 July 1993, the government issued a royal decree merging Saudi Aramco with Samarec, the country's oil refining company. The following year, a Saudi Aramco subsidiary acquired a 40% equity interest in Petron Corporation, the largest crude oil refiner and marketer in the Philippines. Since then, Saudi Aramco has taken on the responsibility of refining oil and distributing it in the country. In 2008, Saudi Aramco sold its entire stake to the Ashmore Group, a London-listed investment group. Ashmore acquired an additional 11% when it made a required tender offer to other shareholders. By July 2008, Ashmore, through its SEA Refinery Holdings B.V., had a 50.57 percent of Petron's stock. Ashmore's payment was made on December 2008. In December 2008, Ashmore acquired PNOC's 40% stake. In the same month, San Miguel Corporation (SMC) said it was in the final stages of negotiations with the Ashmore Group to buy up to 50.1 percent of Petron. In 2010, SMC acquired majority control of Petron Corporation. Saudi Aramco's downstream operations are shifting emphasis to integrate refineries with petrochemical facilities. Their first venture into it is with Petro Rabigh, which is a joint venture with Sumitomo Chemical Co. that began in 2005 on the coast of the Red Sea. In order to become a global leader in chemicals, Aramco will acquire 50% of Royal Dutch Shell's stake in their refiner in Saudi Arabia for $631 million. Jazan Refinery and terminal projects (JRTP) (4,00,000 bbl/d) (64,000 cubic meter/d) Jizan construction ongoing. Jeddah Refinery (78,000 bbl/d (12,400 m3/d)) Jeddah converted to product storage terminal in Nov. '17. Saudi Aramco has employed several tankers to ship crude oil, refined oil, and natural gas to various countries. It has created a subsidiary company, Vela International Marine, to handle shipping to North America, Europe, and Asia. It is a stakeholder in the King Salman Global Maritime Industries Complex, a shipyard that will be the largest in the world when complete. Saudi Aramco expanded its presence worldwide to include the three major global energy markets of Asia, Europe, and North America. In April 2019, Aramco has signed a deal to acquire a 13% stake in South Korean oil refiner Hyundai Oilbank for $1.24 billion.Moreover, in 11 Aprile 2019, Aramco signed an agreement with Poland’s leading oil refiner PKN Orlen to supply it with Arabian Crude Oil. The original concession agreement included Article 23; as Ali Al-Naimi pointed out, this was a "key building block in the shaping of Saudi society for decades to come." It reads, "The enterprise under this contract shall be directed and supervised by Americans who shall employ Saudi nationals as far as practicable, and in so far as the company can find suitable Saudi employees it will not employ other nationals." The first company school was started in May 1940 in the Al-Khobar home of Hijji bin Jassim, company interpreter, translator and first instructor. Al-Naimi pointed out, "From the beginning, the development of Aramco was directly tied to the betterment of Saudi Arabia." 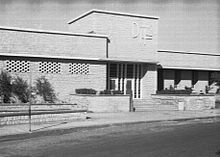 Another school was located in Dhahran in 1941, and was called the Jebel School. Boys hired into entry level positions attended at 7 AM for four hours, followed by four hours of work in the afternoon. In 1950, Aramco built schools for 2,400 students. In 1959, Aramco sent the first group of Saudi students to college in the States. In 1970, Aramco started hiring its first high school graduates, and in 1979 started offering college scholarships. In 1965, Zafer H. Husseini was named the first Saudi manager and in 1974, Faisal Al-Bassam was named the first Saudi vice president. One of the early students was Al-Naimi, who was named the first Saudi president of Aramco in Nov. 1983. As Al-Naimi states, "The oil company committed itself to developing qualified Saudis to become fully educated and trained industry professionals." Al-Naimi acknowledged Thomas Barger's championing of Saudization, "You, of all of Aramco's leaders, had the greatest vision when you supported the training effort of Saudi Arab employees during its early days. That visionary support and effort is bearing fruit now and many executive positions are filled by Saudis because of that effort." In 1943, 1,600 Saudis were employed at Aramco, but by 1987, nearly two-thirds of Aramco's 43,500 strong workforce, were Saudis. In 1988, Al-Naimi became CEO and Hisham Nazer became chairman, the first Saudis to hold those positions. The "pinnacle of Saudization" occurred when the Shaybah oil field came on line in July 1998, after a three year effort by a team consisting of 90% Saudis. The Aramco of 2016 still maintained an expatriate workforce of about 15%, so Aramco can, in the words of Al-Naimi, "be sure it is getting access to the latest innovations and technical expertise." Aramco was one of the first entities in Saudi Arabia interested in hiring and empowering women as it hired the first woman in 1964. However, the number of women employees was not high until 2010 when Aramco announced two initiatives. The first one was concerned with women in business while the other one focused on women in Leadership. In 2015 Saudi Aramco launched a program to train female employees on leadership skills. From 2008 to 2018, the number of women employees in the organization was doubled. Additionally, in 2018, 20% of new employees were women. 2 emissions globally since 1995 with a towering 1,707 million tonnes (1.680×109 long tons; 1.882×109 short tons) in 2013, amounting to almost 3.4% of worldwide anthropogenic emissions. The company allegedly covered up a large oil spill in 1993. ^ "Saudi oil company named world's most profitable business". ^ "The Aramco Accounts: Inside the World's Most Profitable Company". ^ "Key facts and figures". Saudi Aramco. Archived from the original on 6 June 2017. Retrieved 28 April 2017. ^ "Aramco Accounts Show Saudi Oil Giant Is World's Most Profitable Company". Bloomberg.com. 13 April 2018. Retrieved 13 April 2018. ^ "Saudi Aramco, By the Numbers". Bloomberg.com. Retrieved 15 July 2018. ^ a b c d Aramco Overseas Company - About Saudi Aramco, aramcooverseas.com. Retrieved 11 November 2014. ^ a b "About that $100bn+ Saudi Aramco order book". Financial Times. Retrieved 10 April 2019. ^ "Aramco smashes market record with $100bn orders for new bonds". Arab News. 9 April 2019. Retrieved 10 April 2019. ^ "Orders for first Saudi Aramco bond smash $100bn". Financial Times. Retrieved 10 April 2019. ^ "Conference of San Remo". Encyclopædia Britannica. Retrieved 15 February 2015. ^ "Seven Wells Of Dammam". Saudi Aramco World. ^ "The Story of Oil in Saudi Arabia". Saudi Gazette. 18 May 2008. Archived from the original on 6 October 2014. Retrieved 2 October 2014. ^ Clive., Leatherdale (1983). Britain and Saudi Arabia, 1925-1939 : the Imperial Oasis. London, England: F. Cass. ISBN 9780714632209. OCLC 10877465. ^ "Saudi Aramco by the Numbers". Saudi Aramco World. 9 (3). May – June 2008. Retrieved 2 October 2014. ^ a b c d e f g Al-Naimi, Ali (2016). Out of the Desert. Great Britain: Portfolio Penguin. pp. 14, 26–28, 50–51, 76, 93, 109–110, 119, 122–123, 129, 143, 222. ISBN 9780241279250. ^ "Timeline". Saudi Embassy. Retrieved 25 June 2012. ^ "Financial Times Non-public Top 150". Financial Times. Retrieved 23 September 2012. ^ Jones, Rory; Said, Summer (6 September 2018). "Aramco Weighs $1 Billion Venture Capital Fund For Tech". Wall Street Journal. ISSN 0099-9660. Retrieved 7 September 2018. ^ a b Perlroth, Nicole (24 October 2012). "Cyberattack On Saudi Firm Disquiets U.S.". The New York Times. p. A1. ^ Cray FAQ Part 3: FAQ kind of items Archived 21 August 2007 at the Wayback Machine, spikynorman.dsl.pipex.com. Retrieved 11 November 2014. ^ "Saudi EXPEC Computer Center Deploys Supercomputer"[permanent dead link], 24 February 2010. Retrieved 11 November 2014. ^ a b c "Saudi Aramco Annual Review 2015" (PDF). Archived from the original (PDF) on 18 November 2016. Retrieved 8 June 2017. ^ "Aramco to buy Shell's stake in Saudi refining JV for $631 million". Reuters. 21 April 2019. Retrieved 21 April 2019. ^ Saudi Aramco Annual Review 2010, saudiaramco.com. Retrieved 11 November 2014. ^ Seba, Erwin (18 March 2016). "Exclusive: After Motiva split, Saudi Aramco aims to buy more U.S. refineries - sources". Reuters. Retrieved 25 January 2016. ^ "Bahri, Partners Step Closer to Set Up Maritime Yard in Saudi Arabia". World Maritime News. 1 June 2016. Retrieved 13 May 2017. ^ "Global presence". www.saudiaramco.com. Retrieved 15 April 2019. ^ "Saudi Aramco to take 13% stake in Hyundai Oilbank". Financial Times. Retrieved 15 April 2019. ^ "Saudi Aramco to acquire stake in South Korean Hyundai Oilbank". www.saudiaramco.com. Retrieved 15 April 2019. ^ "Aramco Trading expands collaborations in key European markets by signing Supply Agreement with "PKN Orlen", Poland's leading oil refiner". www.saudiaramco.com. Retrieved 15 April 2019. ^ Al-Ghoson, Huda. "Women leaders in the Gulf: The view from Saudi Aramco | McKinsey". www.mckinsey.com. Retrieved 23 December 2018. ^ Al-Ghoson, Huda. "Women leaders in the Gulf: The view from Saudi Aramco | McKinsey". www.mckinsey.com. Retrieved 26 December 2018. ^ "EXCLUSIVE: Women leaders of Saudi Aramco". english.alarabiya.net. Retrieved 30 December 2018. ^ Al-awsat, Asharq. "Middle-east Arab News Opinion". aawsat.com (in Ukrainian). Retrieved 30 December 2018. ^ "Rick Heede Biography". Climatemitigation.com. Retrieved 25 June 2017. ^ Douglas Starr (25 August 2016). "Just 90 companies are to blame for most climate change, this 'carbon accountant' says". Science Magazine. ^ "Was A MASSIVE Saudi Aramco Oil Spill Concealed From The Public In 1993?". Vitalis, Robert (2006). America's Kingdom: Mythmaking on the Saudi Oil Frontier. Stanford: Stanford University Press. ISBN 978-0-8047-5446-0.